Sooner.. hopefully than later, the Metro ATL area will begin to feel like Spring, as athletes once again dealt with unseasonably colder temps and breezy weather yet once again. 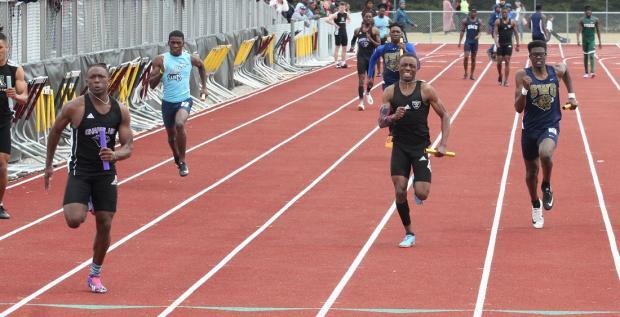 But, it did not stop scores of talented athletes from heating up the track at Union Grove Saturday. 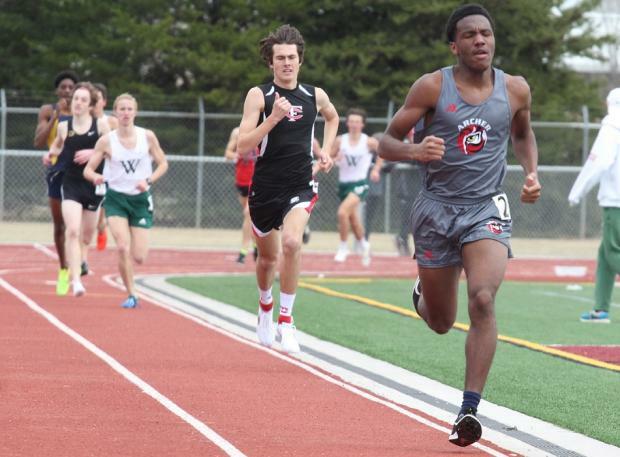 34 MileSplit 2nd team Elite Performances were achieved and a rising star announced his presence with authority. 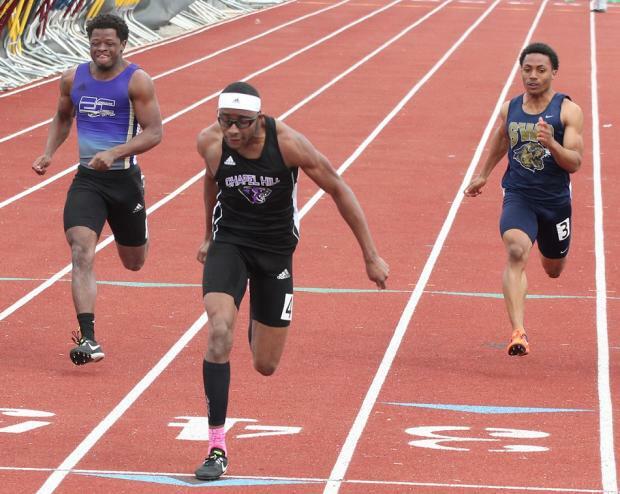 MD's commented, "The competition was great and it was an awesome all around meet as 37 teams representing all classifications from a wide cross-section of the state battled it out in some great races. 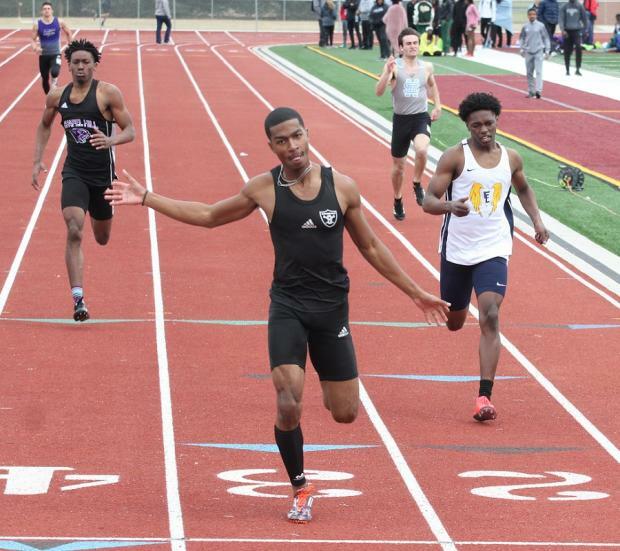 The meet also served as a great mid-season barometer for a lot of programs"
Chapel Hill's Boys established themselves as a 5A powerhouse winning the Boys team title by scoring 85 points besting 5A Eagle's Landing by 16 points with 7A Shiloh a 1/2 point back taking 3rd place. Starrs Mill came out on top on the Girls side besting 3A Westminster by 12 points, with 7A Archer 3rd. Starrs did it by winning the 4x800, scoring 16 points in the PV with Julia Carson taking 1st and picking up alot of points in many events with 3rd place finishes and in the top 8. 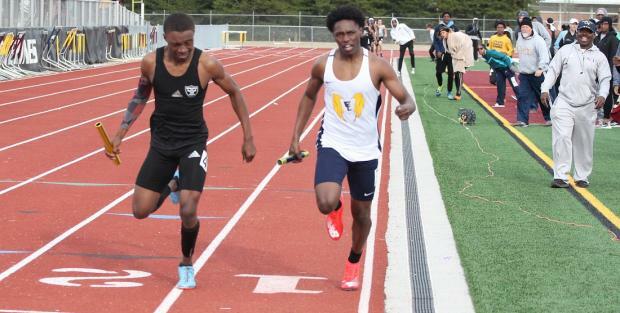 Eagle's Landing and Shiloh push it coming into the Boys 4x400 finish! 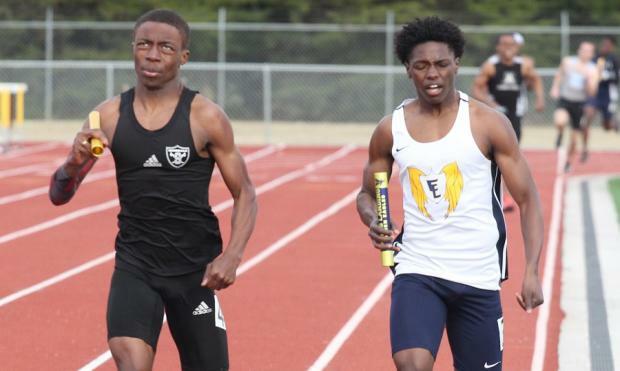 In the best way possible to end a meet, Eagle's Landing and Shiloh battled the entire race with Eagles taking the win by .04 in a photo finish going 3:16.67! 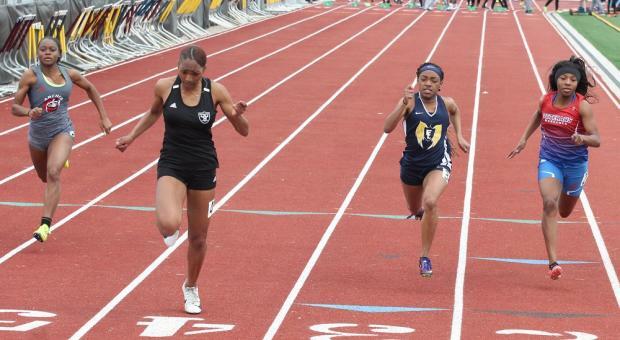 Jazmine Hobson of Shiloh (lane 4) wins the 100m dash in 12.08 and later completed a double taking the 200m as well clocking a 25.22. 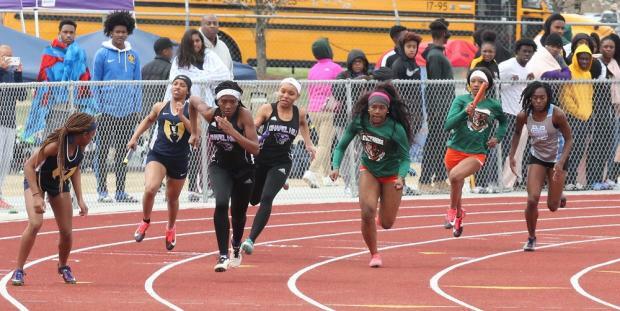 Taking 2nd in the 100m was Jasmine Logan from Eagle's Landing HS in lane 3. 1600m dash girls sprint for the holeshot. 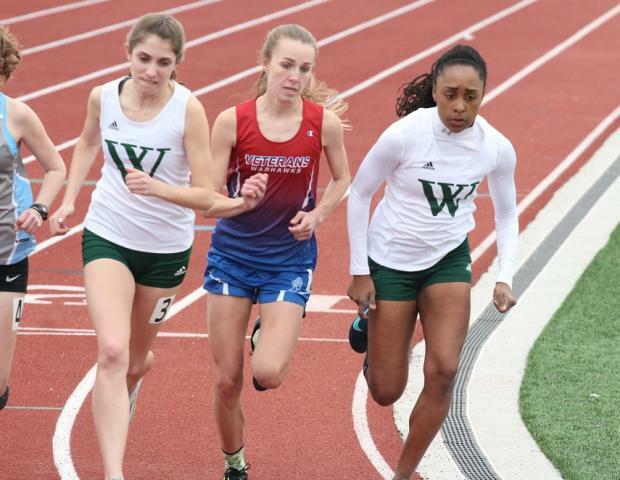 Pictured (L-R) are Westminster's Katherine Vuckovic, Mackenzie Walls of Veterans HS and Naima Turbes of Westminster. Turbes took the win going 5:08.41. 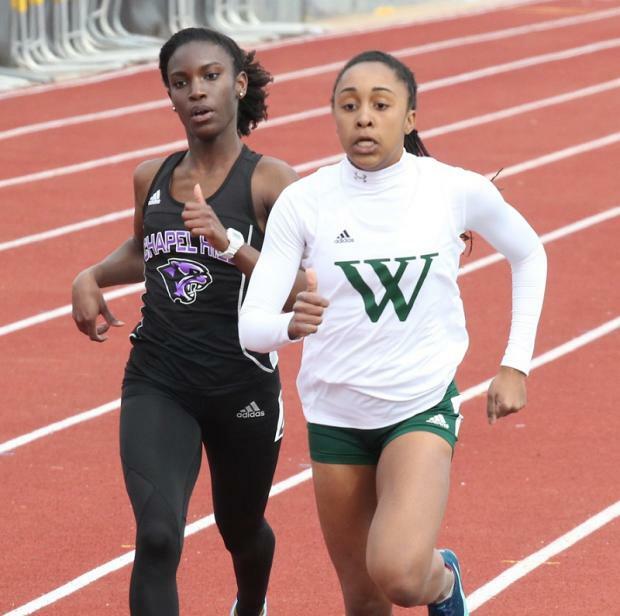 Walls won the 3200 later clocking an 11:17..
Darci Khan of Stockbridge clears the final hurdle in the Girls 300m hurdle race, but..its never over till the finish line as Jayda Burkett of host Union Grove (rear) caught and passed her for the win going 45.28. 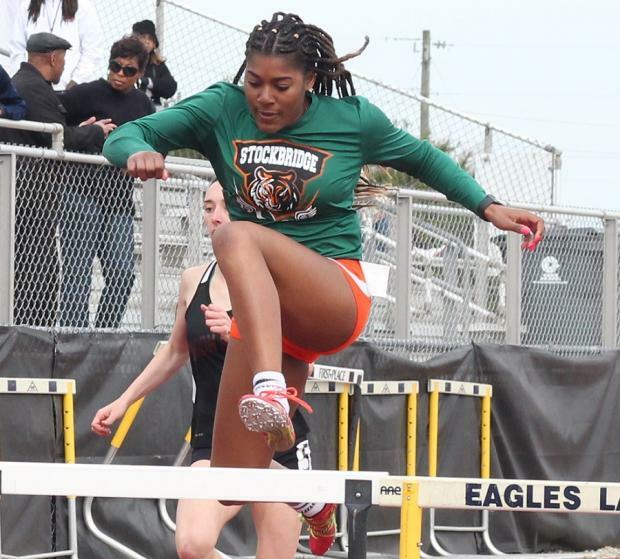 34 performances met the MileSplit US Second Team standard.